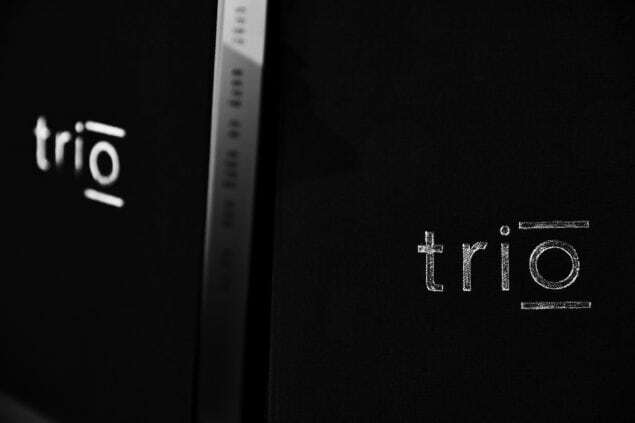 Simon Thrane and TRIO: Sky high ambitions with a grounded approach. In a metropolitan gastro city like Copenhagen, opening a new restaurant takes on the same gameplay as winning a game of Monopoly. It’s mostly about location, location, location. 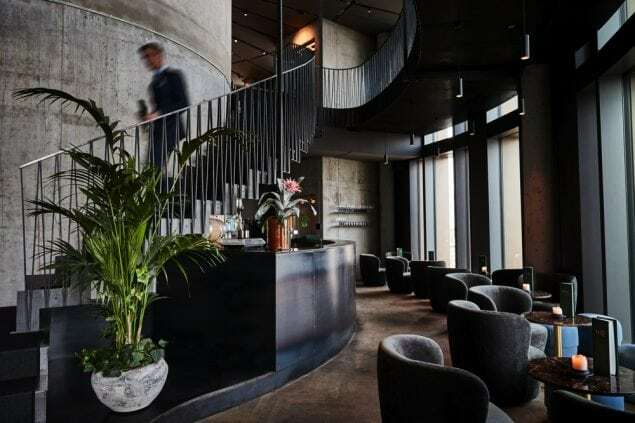 So when the jaw dropping Axel Towers opened their doors only a stones throw from Rådhuspladsen, the most expensive property in the Danish version of Monopoly, creative restaurateurs all saw the monetary benefits of landing their game piece on the coveted property. 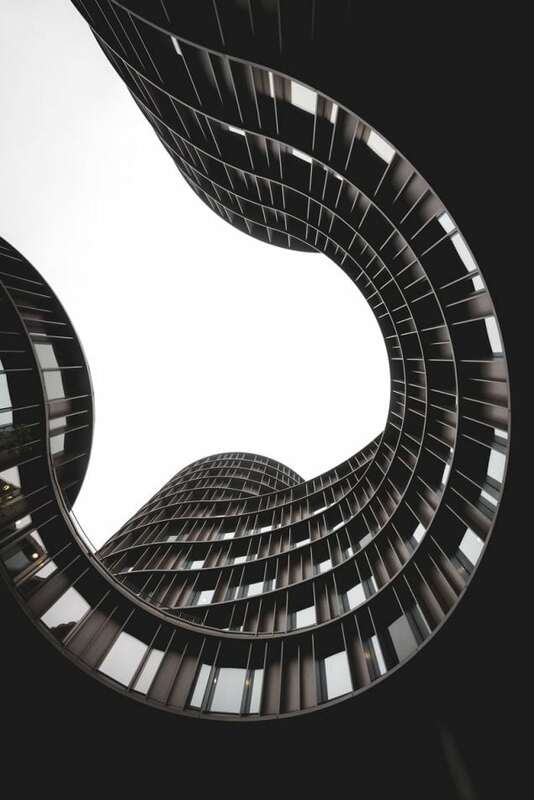 The building, which consists of five intertwined towers of different height, is the main office of law firm Gorissen Federspiel), who asked approval to build the impressive towers. This was granted with one condition from the city hall; the towers would also have to house a sky bar. 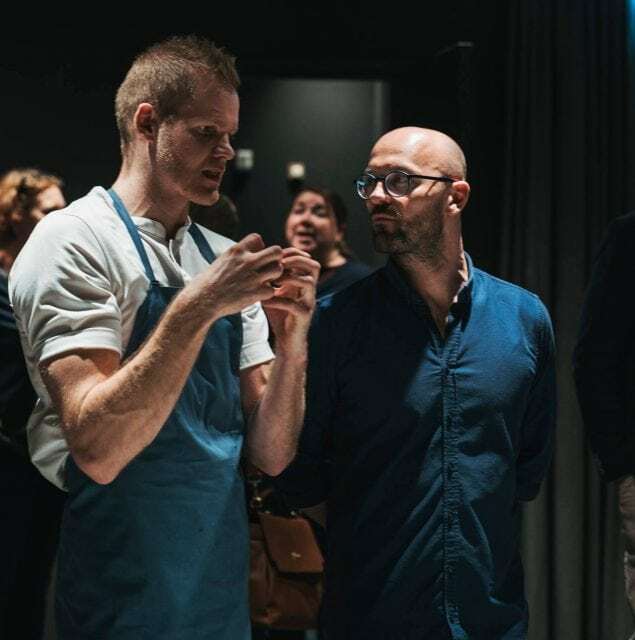 As luck would have it, the proprietors of the building turned to culinary hot shots Christian Aarø and Søren Selin, who had already experienced tremendous success with the two-starred Michelin-awarded AOC, and No. 2, and asked them to spearhead the soon-to-be sky bar project, which undeniably would have one of Copenhagen’s absolute best views. But as people who know Aarø and Selin would contest to, these guys do not settle for just anything. So instead of opening a sky bar, the end result turned out to be TRIO. The name referring to their third restaurant endeavor in Copenhagen, and coincidentally also the amount of floors the restaurant occupies. The killer view sky bar area on the 9th floor of the tower. TRIO takes over the top three stories of the D-tower. The 8th floor has a private dining room that seats up to 65 people as well as kitchen prep area. The 9th floor is the main entrance where the guests arrive directly into the bar. 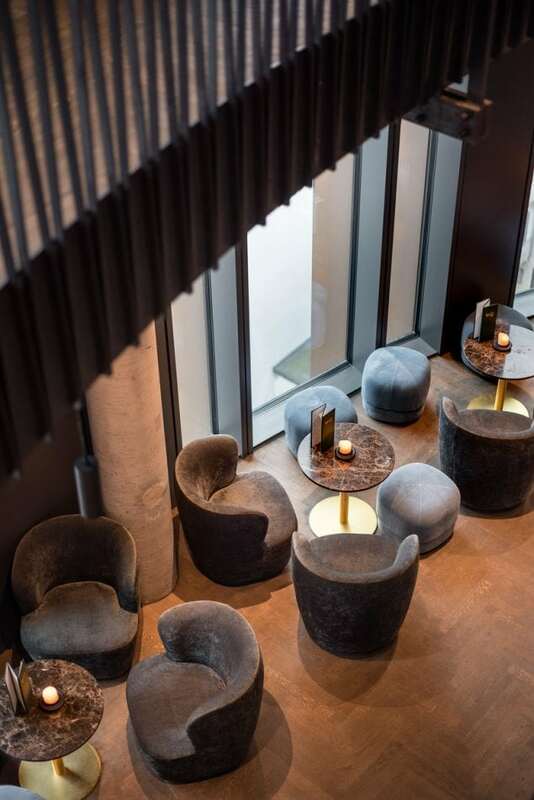 Here a host greets them, and presents them with the option to sit and enjoy a cocktail in the bar and snack on the custom made bar menu – either before relocating to your table, or just for a standalone drink. 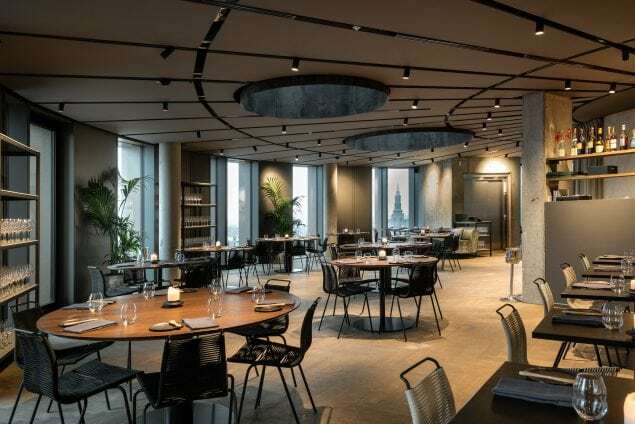 Should you choose the former, you are escorted up to the 10th floor where the main dining area is located, which seats 80 guests for both lunch and dinner service Monday throughout Saturday. The spectacular view is enjoyed through the floor-to-ceiling windows, and particularly one of the restrooms on the same floor, has a panoramic view of the city, that is destined for you to immortalize on Instagram. 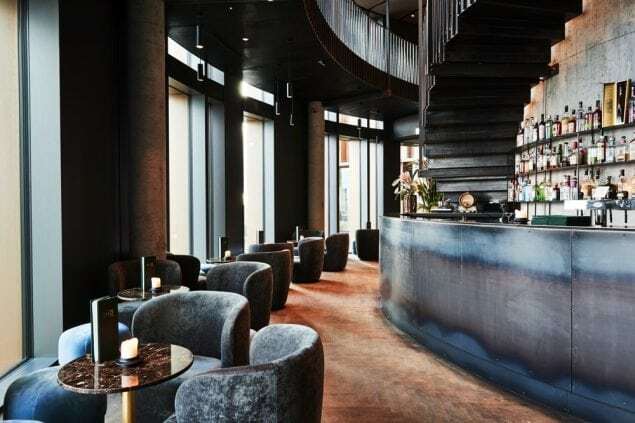 The skyscraper views over Copenhagen also inspired the interior design, which is meant to evoke the feeling of eating out in downtown New York. The raw copper surfaces of the building are echoed inside with bare and raw concrete walls and dark floors. A special ceiling has been installed to improve the acoustics and to enhance the bar feeling, and the Scandinavian simplicity comes to show in the lack of irrelevant tchotchkes. The table setting is kept simple with dark wood tables, merely furnished with napkins, water glasses, a compote dish and a wooden knife. Raw, yet chic and simple design. Incredible views and simple design is where the comparisons to the other two restaurants end. Fronting the kitchen is 31-year-old chef Simon Thrane, who explains the differences between the three. “The difference is very simple – we aren’t Nordic at all”, he explains. 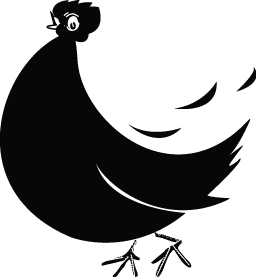 “While we still use local produce, I am not obliged to follow a certain manifesto of Nordic cuisine when I cook, which leaves me the possibility to play with the dishes in a range of different ways. Right now we have a dish consisting of Danish oysters and Danish rose hips, but marinated in oil that has been infused with jalapeños. 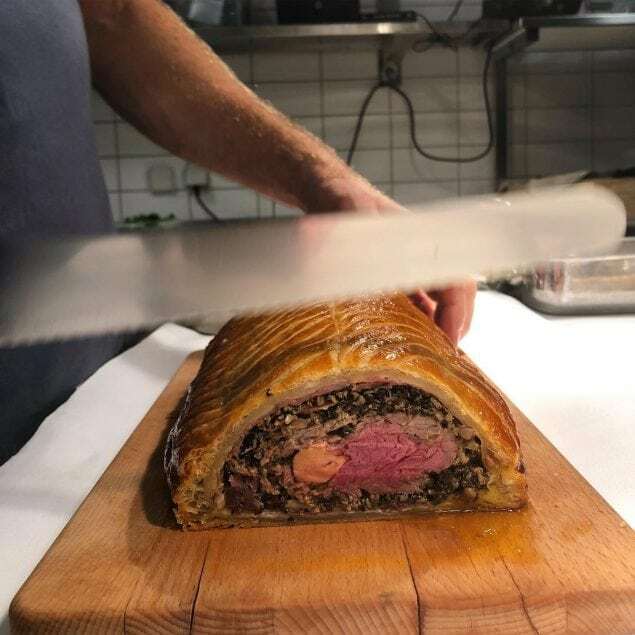 So it’s a way of taking the Danish produce and giving some sort of international and surprising twist”, he explains while adding that that they get their meat delivered from one specific farm, where he carefully selects each single carving. 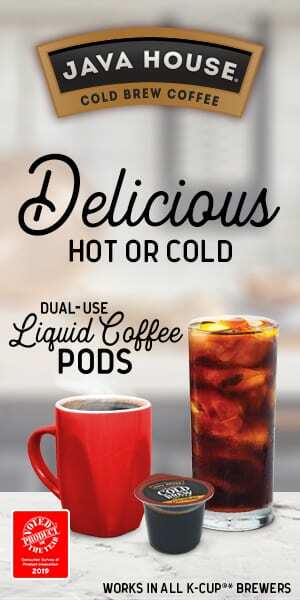 “We are focusing on great products from high quality producers, with whom we create a good bond. I always say that it’s harder to ruin a product of high quality, than it is to make a low quality product good”. 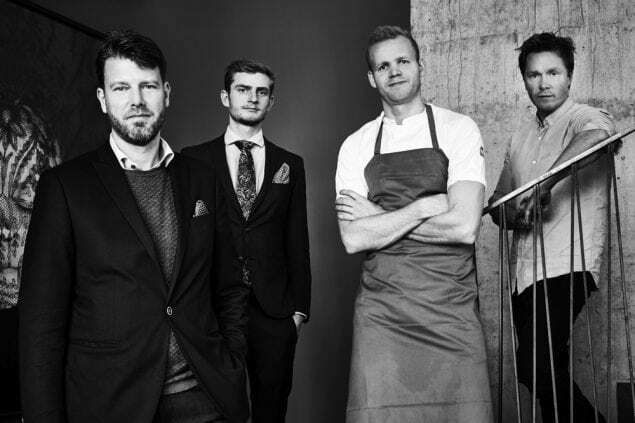 Chef Simon Thrane with owners Christian Aarø (left) and Søren Selin (right), and a head waiter. This honest, yet accurate, expression shows the respect and talent Simon has for his craft. It started back in elementary school, when the older students had to apply for a one-week internship. Originally wanting to do carpentry, Simon ended up with his second choice, which was in the restaurant industry. “It made sense to me. Immediately after I started an apprenticeship in a small inn on an island off the Danish peninsula. Then I went to Belgium where I worked for a 2-star Michelin restaurant for a few months, before coming back and finishing my apprenticeship in 2008. From there I went to Thailand to teach Thai people to make Nordic food, while learning the techniques of the Thai kitchen myself. This was followed by a stint in both India and Japan, where I went to get as much knowledge of both the cuisine and the culture”, Simon says. In 2011 he is back on Danish soil, and accepts the position of sous-chef at the acclaimed seasonal Ruths Hotel in northern Denmark, and wins the prestigious Kartoffelprisen (The Potato Award) the same year, while using the off periods to explore more of worldly cuisine in Australia and Vietnam. 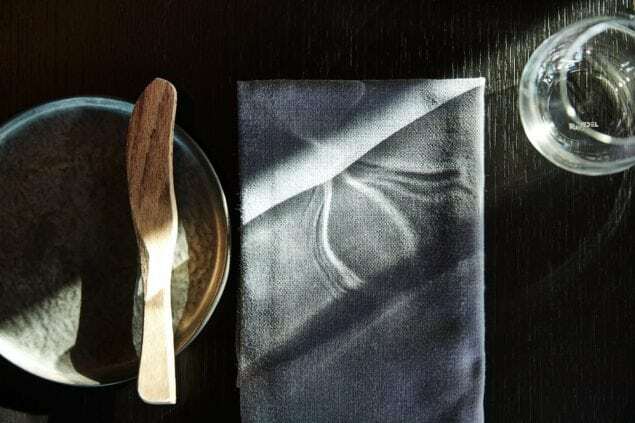 Two years as the sous-chef at the Michelin-awarded Søllerød Kro follows, until he finally receives the call from Aarø, which brings him to where he is now. His experiences abroad are evident in his vision for TRIO. Beef Wellington à la Rossini baked with Foie Gras and black truffles, served with black chanterelles and Sauce Bordelaise. A signature dish of TRIO that guests travel from various parts of Denmark to have. “It’s uncomplicated here. I call it ‘great food that you can relate to, with small features that leaves you with something to think about’. It’s neither classic nor Nordic and is greatly influenced by my experiences from other cuisines. The concept derives from the desire to create unpretentious, yet high quality food that can be enjoyed equally with a wine pairing as well as a cocktail. You could get away with calling it high quality bar food”, he says and points out the importance of the bar atmosphere and that they are open till 2 am. But forget all about your standard nachos and bowl of olives. The menu here is raising the standard of bar food to a whole new level. “It’s shrimp from Skagen in Northern Denmark with lemon mayo and pickled pinecone served on Malaysian flat bread. It’s grilled mini corn with butter from my home province of Southern Jutland. It’s mackerel with different tomatoes – some burned, some ripe, some dry. A thing most of the items have in common is that it’s bar food, as in you can share it and eat it without cutlery, but the presentation and thought behind each dish is on an elevated level”, Simon explains and adds that overall the menu is supposed to offer guests a full restaurant experience, which is why you will also find plenty dishes that require cutlery, such as his take on the classic Beef Wellington. Finger-lickin’ good food that aesthetically looks like something served a 3* restaurant. The Monopoly-envious location might cost a pretty penny, but that does not reflect on the more than affordable price that accentuates the bar theme. Opt for the 9 course tasting meal that includes three snacks and two desserts for only a little over $100, or choose freely between the 12-15 courses presented on the a la carte menu. As a chef who believes in constantly learning and honing your abilities, Simon says that he tries to change up the menu every 3 weeks with new additions. The creativity to craft the dishes comes from everywhere – from biking around Copenhagen to finding flavorful feasts on Instagram. With an ever-evolving menu and only a little over since the restaurant opened its door, Simon finds it difficult to name a signature dish, but has a recommendation. “As a young restaurant it is hard for me to claim a signature dish, but maybe our Norway lobster with a stock made of the same, a pure made of the lobster brain, fried chanterelles, schnapps-pickled gooseberries and wild herbs. 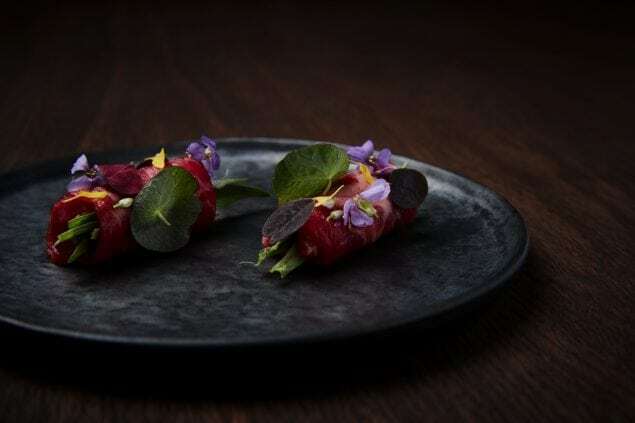 It is an alteration of the dish I won the Jomfruhummer-prisen with”, he says referencing the chefs award he won in 2016 for its creative composition. In addition, Simon has competed for Danish chef of the year twice, securing a top 5 spot both times. 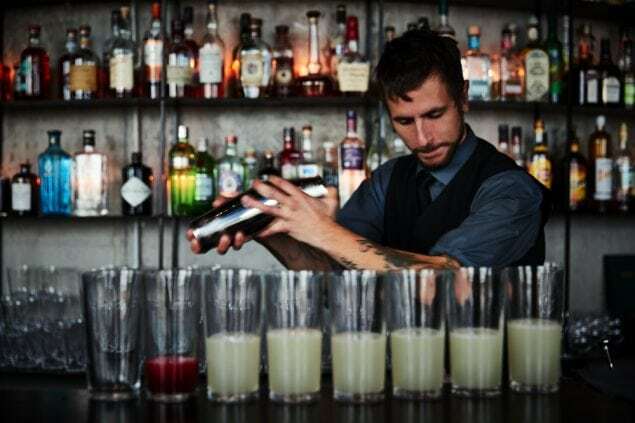 Enjoy a cocktail at the bar before dinner, or make a night of it and stay in the bar all night. The simple approach and down to earth attitude attracts a mixed range of people from different population groups. Simon says it’s difficult him to pinpoint exactly the demographic of people who visit the restaurant, and emphasizes that the affordable prices bring in everyone from people in their mid 20’s to people in their 60’s. It’s well-traveled people who appreciate good food and a relaxed atmosphere, stressing that it’s not a place for wannabe-socialites to come and be seen, that kind of attitude is the opposite of what they are going for. This way of thinking explains Simon’s modus operandi as a chef pretty accurately. A goal that seems easily attainable for this talented chef. Daniel S. Bahrami is a Barcelona based writer with a background in digital communication and journalism in Copenhagen, Denmark. He has been part of the editorial staff of the biggest Danish fashion magazine, Eurowoman, and has worked freelance for several other publications as well as experience in fashion and gastronomy PR.